As of 31st Jan 2013 this Venue is permanently CLOSED. 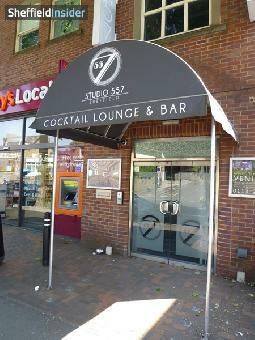 Studio 557 is located at the top of the vibrant area of Ecclesall Road, and is a modern stylish cocktail bar and lounge. There are a wide range of drinks on offer and includes an extensive selection of cocktails, wine, champagne, draught and bottled beers.